Over the last 24 hours we have experienced several power cuts. The power cut on Wednesday happened between forecast updates. A further outage between 5AM and 7AM this morning delayed the morning update. We may experience further outages today as engineering work continues at the local substation. We apologise in advance to any delays this cause in updates today. 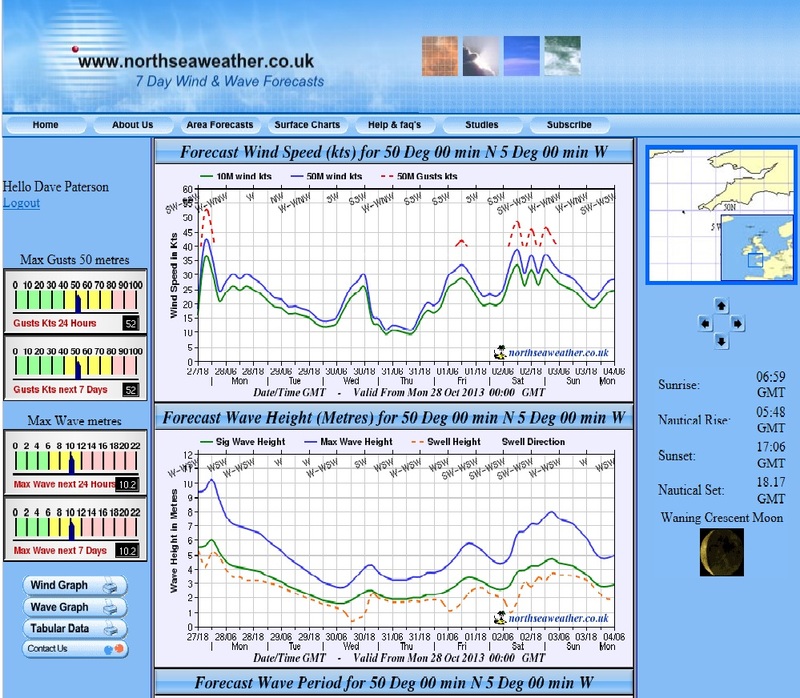 Wind and Wave Graph for off Start point SW England. Despite our websites data centre remaining on-line during the passage of ex-hurricane sandy across the area, as of 1520 today we have lost contact with the server and the data centre in Stamford CT. I will update the situation status as any information becomes available. Please accept my apologies for the inconvenience.